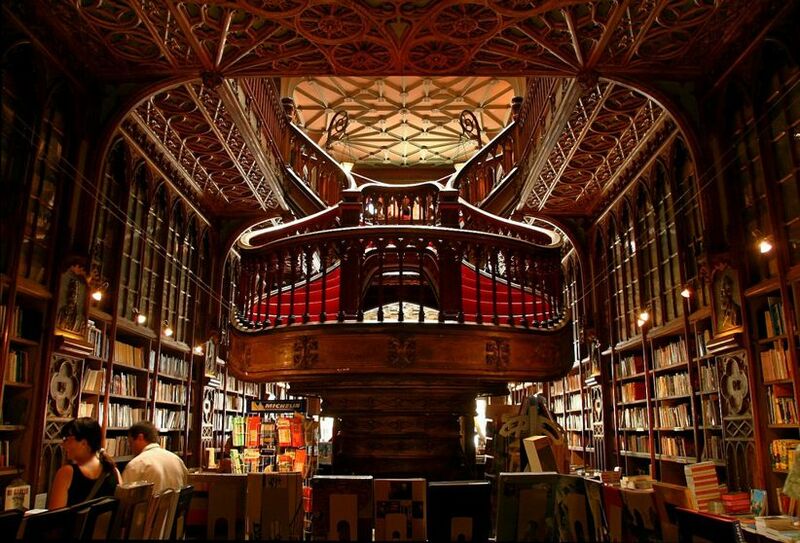 I posted about the world’s most beautiful libraries back in July, but there are just as many cool bookstores in the world. Books, being so full of art and history themselves, often find homes in buildings full of history and glamor. 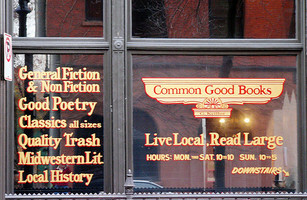 Common Good Books, where you can find "Good Poetry" and "Quality Trash"
Last Monday I imagined a business model in which Nobel Prize winning authors sell books. 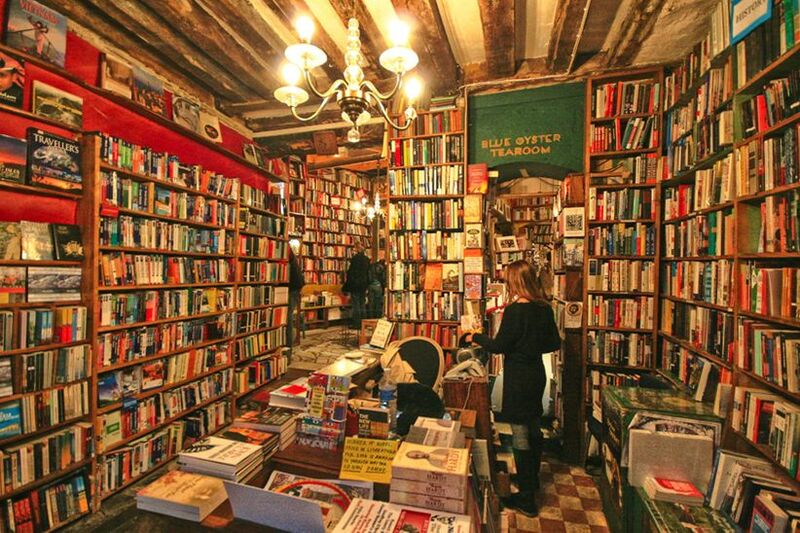 In fact, the idea of a famous author owning a bookstore is no fantasy–in my home cities alone there are two independent bookstores owned by best-selling writers. Louise Erdrich, a Pulitzer Prize finalist and Guggenheim fellow, runs Birchbark Books in Minneapolis, which specializes in Native American literature (there’s a page on the Birchbark website devoted to the dogs of the store…swoon). In St. Paul, Garrison Keillor, host of the long-running Prairie Home Companion, is the proprietor of Common Good Books, aka my favorite bookstore. We’re lucky in the Twin Cities. 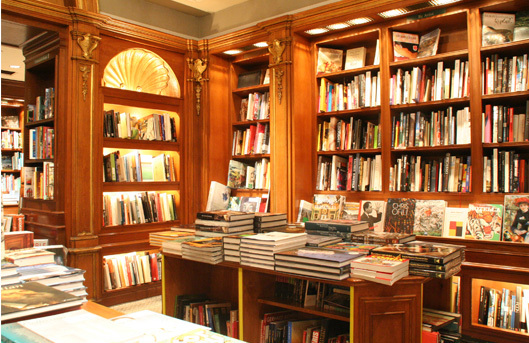 We have a multitude of wonderfully curated independent bookstores, and even a few dedicated to children’s literature. Some of them, like Magers and Quinn in Minneapolis, garner widespread praise for hosting upwards of 150 readings a year by both obscure and well-known talents. By this point you’ve probably heard of Tea Obreht, the incredibly gifted 26-year-old author of The Tiger’s Wife, who became the youngest woman ever to win the Orange Prize. You know where she started her reading tour? Yup, Magers and Quinn. Her book had barely been out a week when my boyfriend and I crammed into the reading area tight with bookshelves and overly-cologned middle-aged women. Other cities are not so fortunate. One of my favorite authors, Ann Patchett, brought the plight of Nashville to national attention this past November when she opened Parnassus Books. One local bookstore closed, and bankruptcy shuttered the Borders; as the New York Times put it, “A collective panic set in among Nashville’s reading faithful.” Patchett and Parnassus saved the literati. I don’t know what I would do without a bookstore in my vicinity. This past Friday night when my boyfriend asked me what I wanted to do, I immediately replied “Let’s look at books!” He laughed–and then he realized I was serious. There was no reason to think I wasn’t, since we’ve spent a few Friday nights this way already pointing out books we’ve read, want to read, want to reread. Actually, I do know what I would do if I moved somewhere without such a healthy literary community. I’d make like Louise and Garrison and Ann and open a shop myself. There’s just no way I could live without literature. I have this business model in mind which is probably terrible in terms of financial prospects, but which would be totally cool. 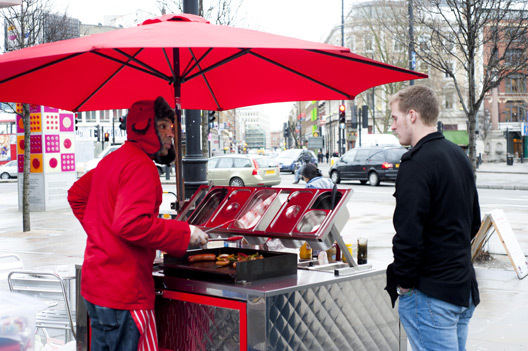 Everyone loves food carts, right? Hot dogs on the streets of New York, mini donuts in Minneapolis, suspicious meats in a foreign country you probably don’t have the right bacteria to digest, and so on. So why not a book cart? Can I offer you some Rushdie today, sir? Here’s what I’m thinking: first I’m gonna become a super famous novelist (which is just one of the reasons this business plan might be a little tricky). That way, people will be much more interested in reading whatever I recommend. I’ll pick 3 books a week, one fiction, one non-fiction, and one miscellaneous–poetry, anthology, classic, young adult, etc–and sell them on the streets of Minneapolis. Businessmen and -women will start to trust my suggestions, and buy whatever I’m peddling. It can’t fail! Oh sure, bookstores are closing right and left. 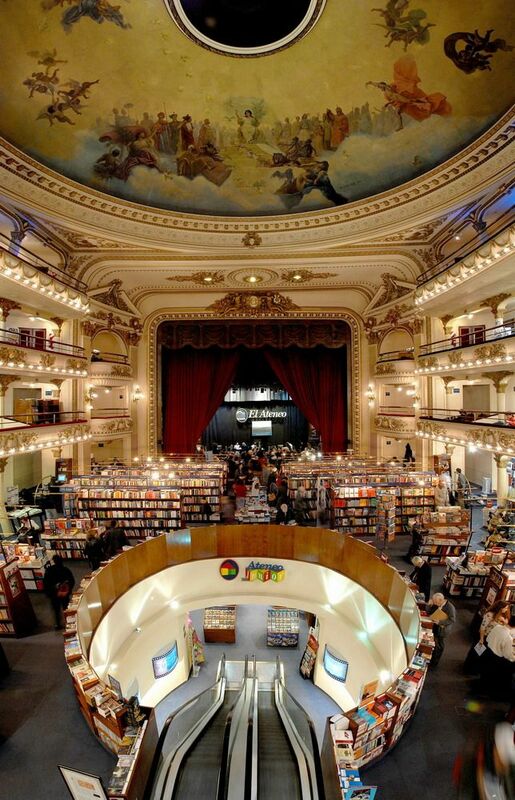 But many of these are Barnes and Noble bookstores and, of course, Borders. The advantage of my bookcart (feel free to come up with potential names) is that inventory is always small and constantly being refreshed. 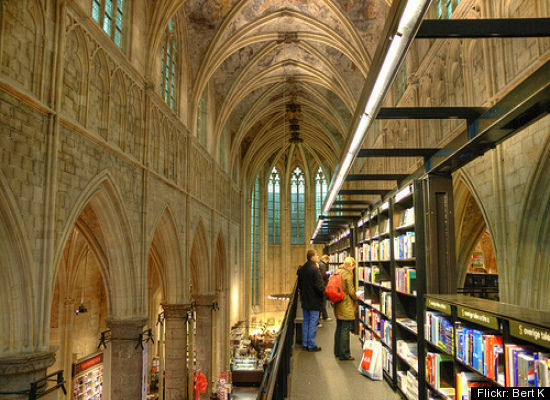 Bookstores aren’t closing because people don’t read anymore–people just often don’t know what to read. Imagine their neighborhood Nobel Prize winning novelist (okay, I’m stretching here) stopping by every Monday with a fresh new recommendation. Of course, I haven’t figured out any logistics of this, and it’s not a very franchiseable operation–I’d have to hire Toni Morrison and Gabriel Garcia Marquez to fit in with the business model. I’m quite sure it wouldn’t make any money. But you don’t get into book selling if you want to make money. You do it because you love reading and talking about books–which I do. Like I said: can’t fail!